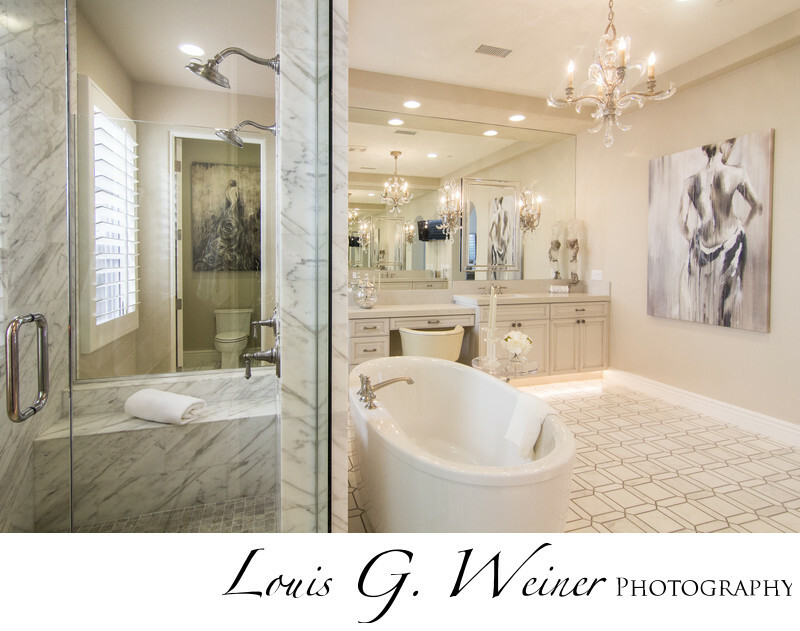 Jan Cregier, Interior Expressions by Jan, www.interiorexpressionsbyjan.com designed this bathroom, WoW. Separate shower and tub, both luxurious. This bathroom could make you want to spend all your time in the toilet. This home is in the Andalusia Country Club in La Quinta, a wonderful exclusive neighbored.